3 Wardrobe Moving Boxes With 3 Hanging Metal Bars - Size: 20" x 20" x 34"
Our Wardrobe Boxes are ideal for hanging approximately 2 ft of clothes. Our Wardrobe Box is constructed with Heavy Duty corrugated cardboard for added strength and stability with a convenient front access panel and integrated hand holes for increased ease of use. 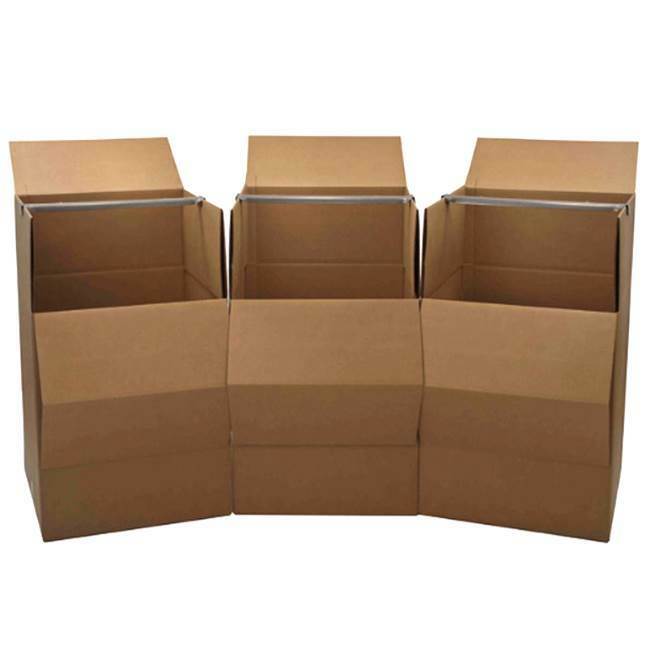 Trust your valuable items in boxes that are used by more professional movers nation wide.